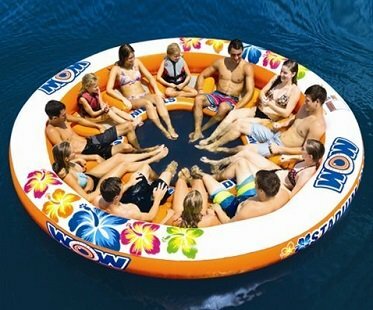 Grab a load of friends and have some fun in the sun on this awesome 12 person inflatable island! Everyone gets their own separate mesh seat and there's a large center cutout so you can get on and off with ease. Perfect for home pools or swimming lakes.